The National Institute for Health and Care Excellence (NICE) has recommended a new treatment to help prevent strokes and systemic embolism in patients suffering from the heart rhythm disorder atrial fibrillation with those over-75 a particular risk factor. NICE has issued a Final Appraisal Determination (FAD) for Lixiana (edoxaban) for preventing stroke and systemic embolism in people with non-valvular atrial fibrillation with the draft guidance stating: “Edoxaban is recommended, within its marketing authorisation, as an option for preventing stroke and systemic embolism in adults with non-valvular atrial fibrillation with one or more risk factors". • prior stroke or transient ischaemic attack. Professor Martin Cowie, Professor of Cardiology at Imperial College London and a noted researcher into AF, believes edoxaban gave doctors the ability to better tailor medicines to individual patients. “A few years ago, all we had to prevent strokes in AF patients was warfarin, which imposes many lifestyle restrictions on patients and needs monitoring with a blood test system known as INR. Now we are spoilt for choice with modern blood-thinning drugs that do not need INR monitoring and are easy for patients to live with,” he said. 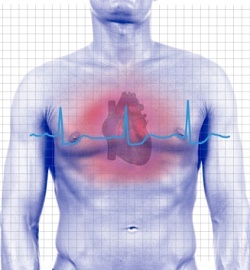 Non-valvular atrial fibrillation (AF) is a condition where the heart beats irregularly meaning blood can pool and thicken in the chambers of the heart, causing a risk of clots which then go on to cause strokes. In June 2014 the National Institute for Health and Care Excellence (NICE) published a revised guideline on the management of AF, updating its advice from its original guideline of 2006. The revised guideline said some 835,000 people in England alone have AF. In addition there may be another 250,000 people who are undiagnosed, according to a NICE press release issued to accompany the guideline. NICE put the prevalence of AF in England at 2% - one in 50 of the population. • Prevention of stroke and systemic embolism in adult patients with non-valvular atrial fibrillation (NVAF) with one or more risk factors, such as congestive heart failure, hypertension, age ≥ 75 years, diabetes mellitus, prior stroke or transient ischaemic attack (TIA). Dr Simon Clough, UK Managing Director for Daiichi Sankyo, added: "We are very pleased to be able to offer patients and doctors in England and Wales a new convenient to use alternative in the treatment armoury against AF-related illness. It is extremely gratifying that we have received NICE FADs for both AF and VTE within a very short time after gaining European authorisation. "NICE has recognised an unmet clinical need among patients with AF and this recommendation confirms the value of edoxaban, which combines convenience and safety with features compared to warfarin that patients and physicians appreciate."